Filled with Mystery and Adventure! When I heard of this title it fascinated me greatly because I have a real interest in the Indian petroglyphs, especially those in the state of Utah, where I live. This amazing artwork and the ancient villages where the Anasazi Indians lived are so amazing and a wonderful sight to see. 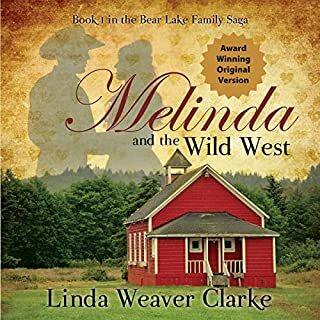 This Audible book by Linda Weaver Clarke weaves history, fiction, mystery and romance all into one book. This author writes about some of the events that occurred in Utah some years ago. It is a most interesting way of uniting history and fiction into one very good story. As the story begins, the devastating flood of 2005 is relentlessly taking away with it, homes, property and belongings and what appears to be a possible poison causing death to the fish and animal life. The main characters Julia and John Evans are a charming couple. Julia, a novice newspaper reporter hoping to become a reporter with a breaking story that will definitely make an impression. And that she does when she starts to investigate what appears to be a less than fascinating story. As the story progresses she runs across some pretty shady characters. Julia seems to be a courageous woman and also a wonderful wife and mother at the same time. Her husband, John, not without his faults, is a worthy husband and support in her adventure. This is a really fun read. I especially enjoyed the history that I remember occurred, not too long ago here in Utah. I remember the news reports of the houses being shown over and over again on the news as we watched in unbelief. The story was interesting and I could see myself in the Virgin River area looking for the ruins and the relics that might be there to be discovered. Loved it! I have heard several Audible books narrated by Carolyn Kashner and this one was also great. She has a pleasant speaking voice with great vocal expression. I enjoyed this book in Audible form very much! I received an Audible version of this book from the author. All thoughts are my own. This is the second book of this author that I have been fortunate enough to read and listen to. Very sweet romance. The characters were well matched and made a good fit even though they had no idea! The narrator was Daniel James Lewis. 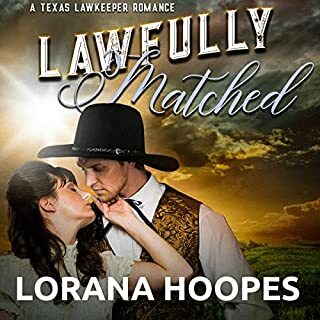 He had a little bit of a southern accent to his voice which added to the Texas feel of the book. It was fun to listen to and his expressions and "voices" were well portrayed. Enjoyed how the steadily paced book progressed and there was suspence and romance to keep things interesting. The book was of a novella length and I was able to finish listening to it in one sitting. I enjoyed it very much. It's 1863, and schoolteacher Olivia Owens believes education should be a top priority in the newly established settlement of Good Springs. Between planning lessons and helping out on her family's homestead, Olivia doesn't have time for Gabriel McIntosh's charming advances. When the council denies her request to build a schoolhouse, Olivia must challenge their ruling and teach private lessons - all while hiding frequent bouts of word blindness (dyslexia). I won this book in a contest. And it was the Audible version. I enjoyed it very much. This is the first book that I have read from this author and I liked her writing style very much. Olivia doesn't want to marry, she wants to be a teacher. It's her only big desire. Very well written and I think I will need to look into reading the remaining books in the series! I really enjoy the opportunity I had to listen to the Audible version of this book. Especially when it's a good book like this. I love the fact that I can listen to a book and still get some work around the house done. I like that because I feel as though I am enjoying my tasks more as I get to hear a great book. The narrator was Bill Nevitt. I enjoyed his voice and expressions as he portrayed various characters, changing his voice to be able to distinguish between the people in the story. Dr. Mabry's latest book was so good! I had a difficult time putting it down! There was a lot of mystery, suspense, adding up to an absolutely great book. The subject matter was very contemporary, very believable and certainly something that might be a real occurrence in the life of a doctor. There was also just a little touch of "romance" perhaps. This book is a book that you won't want to miss, especially if you like to read mysteries, which I definitely do! I liked the fact too, that there was some religious intonations which showed that we all can do many things on our own, but can do all things with God. That we should trust and remember Him and that it's never too late to turn our lives around. All in all, a great book and I am very happy that I had the chance to read it. This Audible version was so fun to read and listen to. 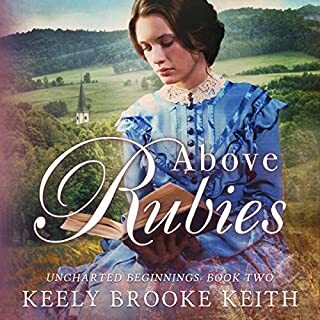 It is a really sweet story and listening to it gave me a chance to close my eyes and envision myself back in this time period and being a woman that wanted to find her way in a then mostly male profession. 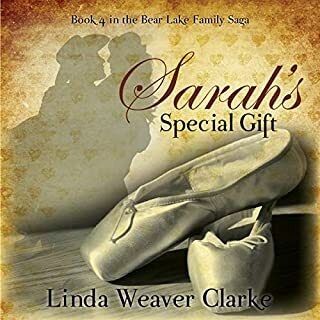 This was the final book in the Bear Lake Family Saga. I have listened to the previous four and they were all very good books. This one was also. I enjoyed the characters from the previous books and how they merged into the continued story. I enjoyed John as he finds he is not able to commit, yet finds he needs more than what he now has. I enjoyed Elena as she deals with social prejudice and struggles to overcome that. It's a time of change in the world as society begins to modernize with vehicles and new inventions. I am sorry to see the series ending. I have enjoyed each page as I read through each book. Great job, Linda Weaver Clarke. Love Audible books! They are so fun to listen to, especially while you are commuting and can't read a physical book, yet want to "read". This is the first Audible book I have listened to from this author. I really love his books and the Audible version was also great. The narrator did a great job with expressions, voices, etc. I enjoyed listening to him. 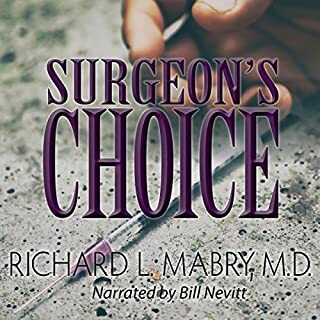 This latest novella by Richard L. Mabry, M.D. is an absolute must-read. There is no down-time in this book. The action starts and keeps going to the very end. I had a hard time putting this down to do anything other than read! 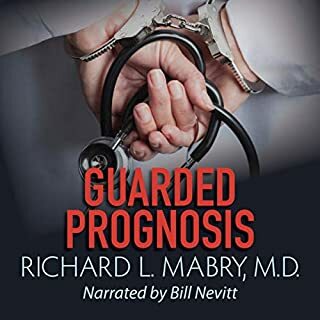 This retired Medical Doctor turned author has applied his medical knowledge and experience to a realistic and captivating mystery. It kept me spellbound till the very end. I highly recommend this well-written and exciting book. I look forward to anything this author produces! I was provided an Audible version of this novel by the author, but the review is my own opinion. I have really enjoyed Audible books. I can listen while working, while traveling and while relaxing. 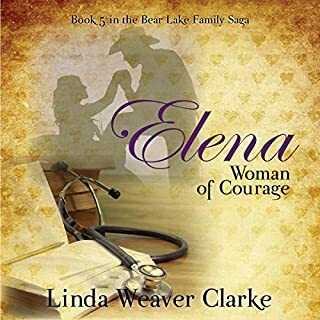 This series by Linda Weaver Clarke is a wonderful historical set of books that I have enjoyed so much. The narrator Carolyn Kashner has an easy going and relaxing way of speaking with lots of voice changes as the book characters speak. 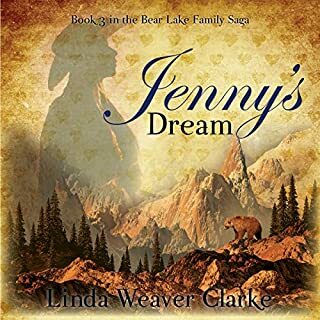 This was book 3 of the 5 part historical fiction Bear Lake Family series. 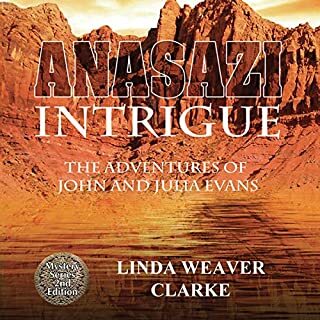 It is always nice to read one of Linda Weaver Clarke's books which are always entertaining, factual and clean reads. This, as the title indicates is the story about Jenny, daughter of Gilbert and Melinda, the couple that blended their lives and family together.A wonderful story that takes you back in time and let's you visualize what life was like as people forged their lives in an untamed land. As Jenny's dream of her future began to come true, she discovered that sometimes dreams can change with time. And sometimes surprise you. It was a great read and I recommend it along with the previous 2 books in the series. It has adventure, romance and historical elements which make a great combination. I know others will enjoy this story as much as I have. I received an Audible version of this book for my honest review which I have given.